Tel Aviv's Dori Sadovnik and Niv Arzi have been making music together under the name Red Axes for four years now, and freeform blend of electronic expressionism has seen them release on everything from Klasse Recordings to Hivern Discs. This month they return to the I'm A Cliche imprint, and they've conjured four mystical dance tunes that fall on the edges of disco. 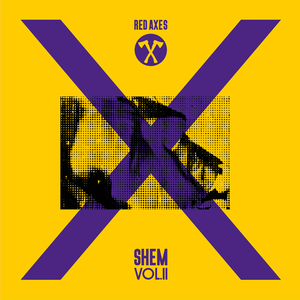 "Shem" is an ominous ballad made of dreary electronics and a tick-tock percussion, and "Oh Key" is similarly clown-like in its choices of odd sonics - a truly singular piece of instrumentation. "Sweet John Gang" is a nu-school boogie kind of monster, whereas "More More & More" is a fuzzy house jam with a delicious blend of dubby melodies. Out there tunes!